The benefice Open the Book team started in Sept 2017 at North Elmham school. At first the children were a little reserved, but now enjoy the sessions and are totally responsive to the stories. We began with the story of Creation, followed two weeks later with A Sad Day (Adam and Eve being disobedient) and 'God's Promise' which of course was Noah's Ark. 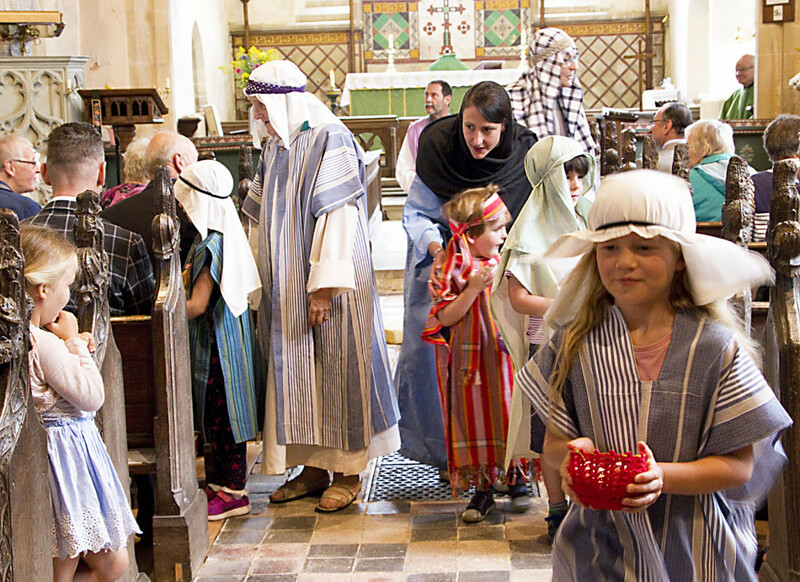 The children love dressing up, and taking part in the actions or 'shout' outs suggested in the book. The two monitors who prepare the hall choose a song appropriate to the story (Who put the colours in the rainbow for Noah's Ark) and are wonderful at providing chairs for those of us with creaky limbs! 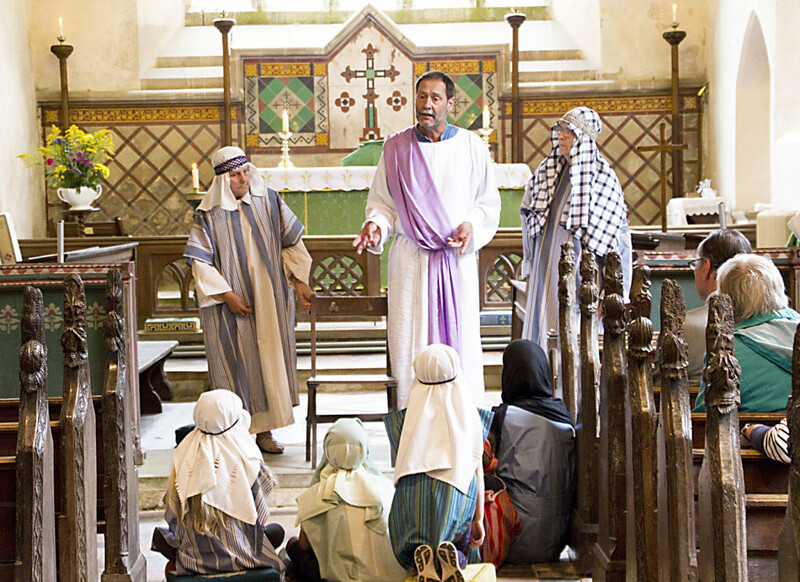 The ‘Open the Book’ team took over the sermon slot at All Saints’ Stibbard on Sunday 29th July. 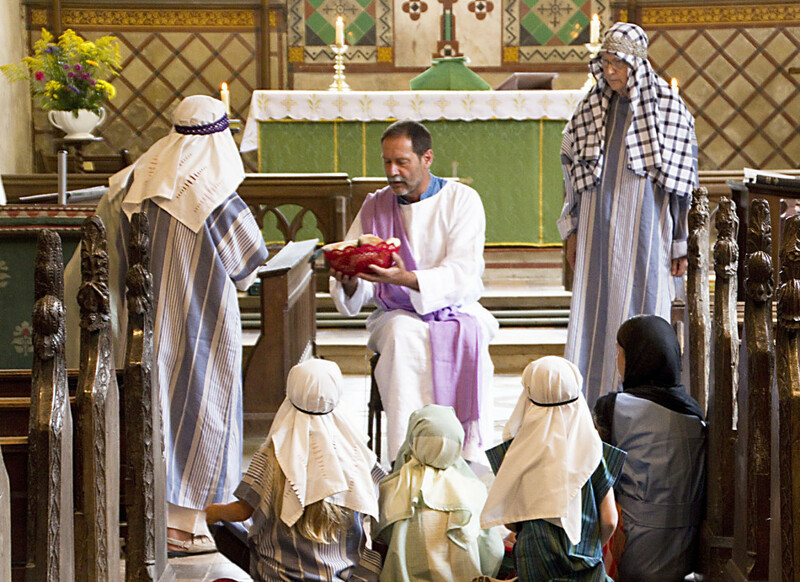 At a Group Service for the Heart of Norfolk Team, attended by 45 people, they told the story of the Feeding of the 5,000 from the Lion Storyteller Bible, acted out by members of the team with some children taking part. 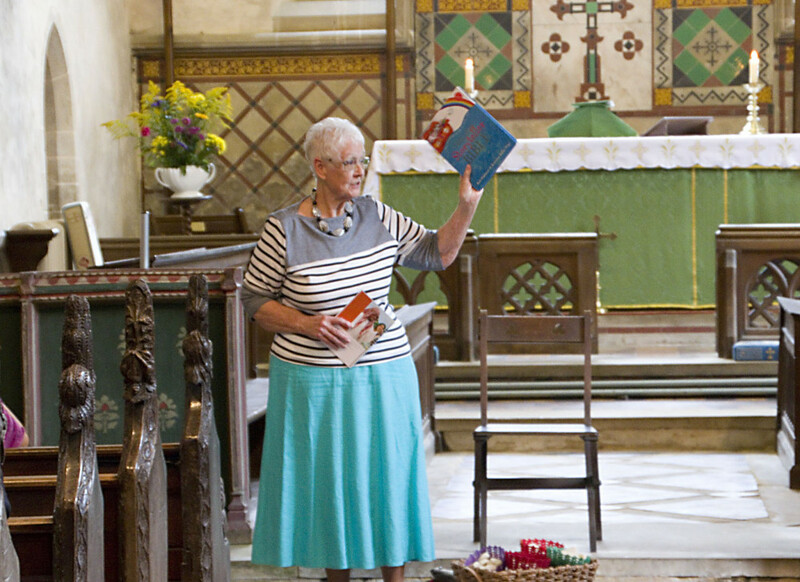 Team leader, Eunice Norwood, set the scene by explaining how ‘Open the Book’ has been presented in Collective Worship at North Elmham Primary School since September 2017 and announcing that it will also be part of the CW programme at Stibbard All Saints’ Primary School from this September. She said that the children really enjoy having Bible stories acted out in this way and participating in the action. The whole congregation on Sunday became part of the story, sharing in The Marvellous Picnic which came from one boy’s packed lunch. Read all about it in John 6:1-14. We are fortunate to have two members from Foulsham Baptist Church on the team who are always willing to make props for us. It would be wonderful to have more people available to take part and be able to offer this wonderful project in our other schools. Please note that all our participants will need to hold a valid DBS check. Sessions are usually fortnightly on Mondays at 9:30am. Rehearsals take about an hour and are held on the alternate Mondays also at 9:30am in Great Ryburgh. We would welcome anyone to come along and see what we actually do, or come and watch our next involvement at the school to give an idea of how much fun it is and how little time it takes. Contact Eunice on stibbardchurch@btinternet.com or ring 01328 855665 for dates of school sessions or rehearsals.